Writeups.org is an encyclopaedia of characters in genre fiction — comic books, video games, action movies, etc. It offers illustrated, researched profiles. These also include technical data for role-players. If you need a robust understanding of a character’s abilities, personality, history, etc. this is *the* place to be. 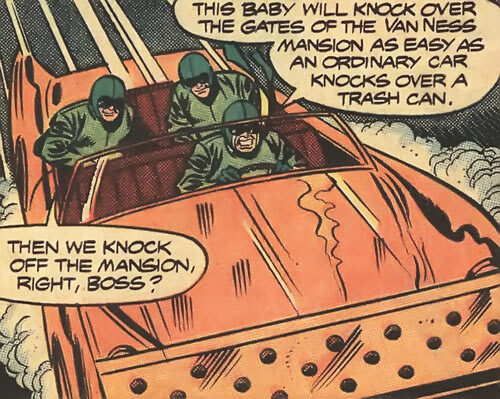 This villainous motorcar owner is from one of ’em goofy 1970s/1980s Hostess full-page adverts in comic books. Ah, memories. Simple, useful, straightforward, horned. 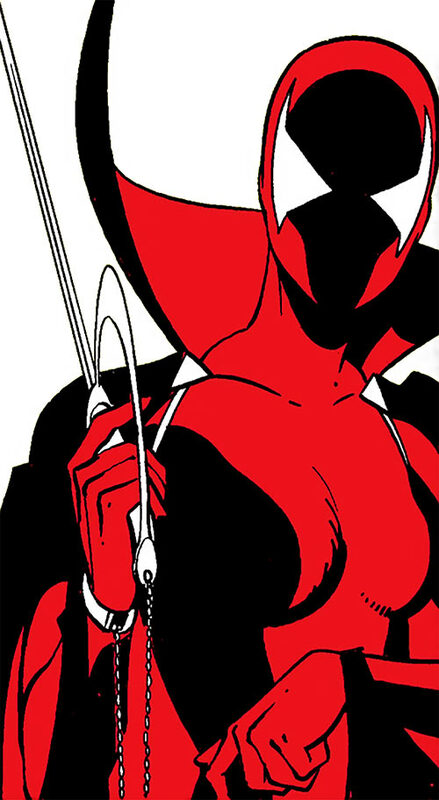 This covers his 1970s appearance, back when he primarily was a Daredevil villain. 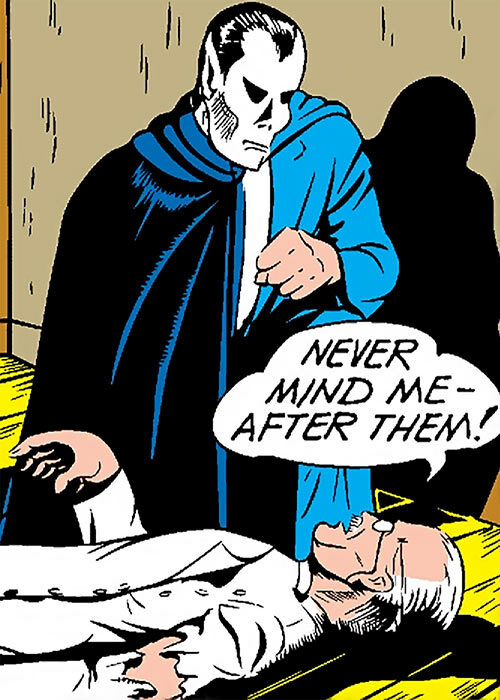 A fairly obscure Golden Age killer vigilante with minor powers and a sinister Gothic appearance. As of October of 2017, the Terror has received skull-faced M&M stats. And as of June of 2018, the illustrations were redone and the text was combed back. A cyberpunk combat and tracker cyborg. From the 2099 possible future of the Marvel Universe. As of June of 2018, this profile was entirely overhauled by our crack team of cyberdocs. Minor Marvel villain with heat-based powers. He’s a handy opponent. Read it whilst it’s hot ! As of June of 2018, this profile was entirely overhauled. Clearly, everybody wants to read something called “quantification heuristics”. Total best headline. A discussion of the evidence-based mental model used on writeups.org when it comes to stats, and stuff related to stats (such as capabilities descriptions). Continuing our big series of chronological profiles for Carol Danvers. This one is Carol as Ms. Marvel with the black costume, during the 1980s. As of June of 2018, this profile was entirely overhauled using our sparkly, sparkly fists. A crafty, finessing young mercenary specialised in hard jobs against the supernatural. 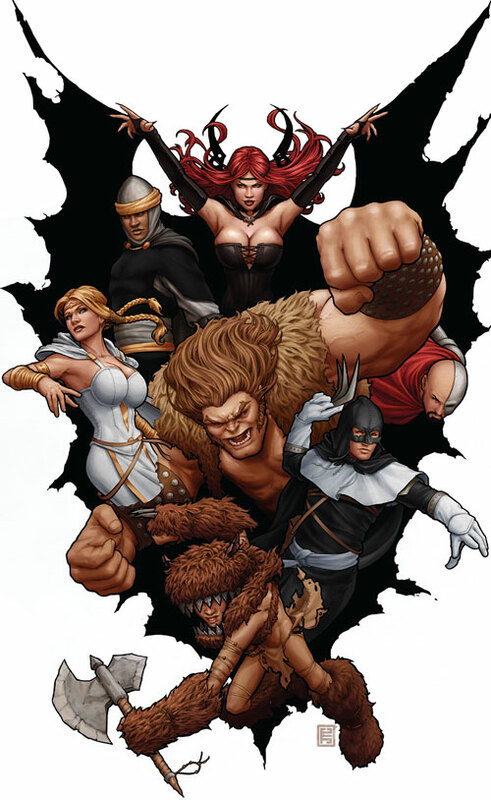 From the Greg Rucka Magekillers comic books in the Dragon Age heroic fantasy setting. An obscure Superman enemy from the 1940s. When the nights were young, when we could do no wrong. 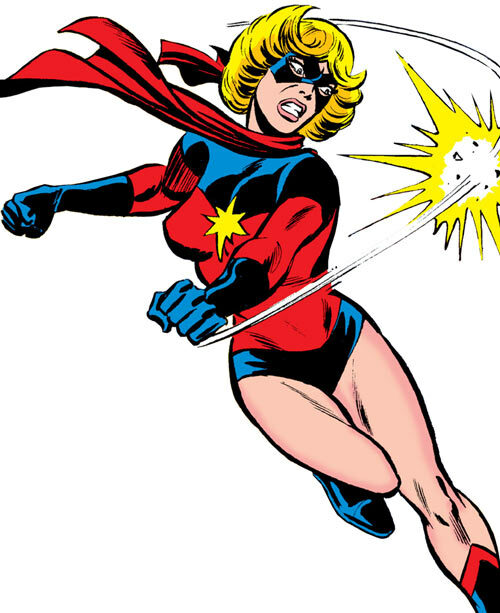 This continues our big chronological series about Carol Danvers. 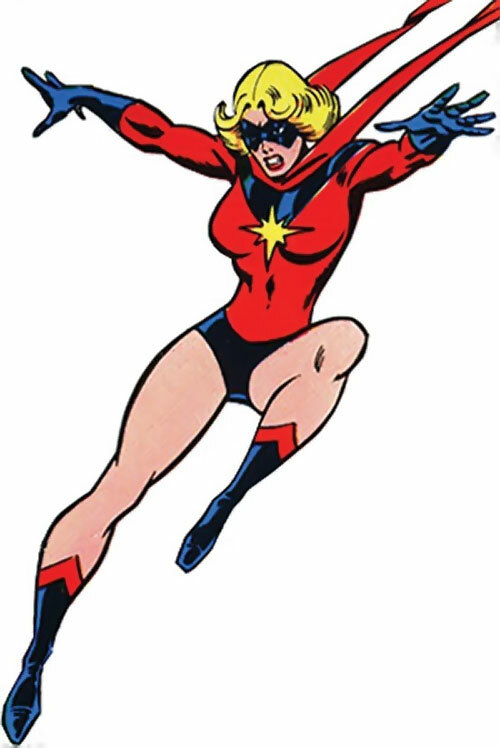 So we reach the point when she becomes Ms. Marvel, this is the late 1970s, she still had the red and black costume, and she was in a certain state of… flux. As of June of 2018, this profile (which already had its illustrations overhauled) was split into a main section and an appendix, and had its texts tightened. The appendix to our big character profile for Marvel Comics’ Ms. Marvel (Carol Danvers) during the late 1970s. This part has the quotes, the RPG stats, the DC History section, some more notes, etc.. This the first of Nemesis avengers seen in the pages of Alpha Flight – the 1984 one. Mysterious undead “angel of vengeance” with a monomolecular magic sword. As of June of 2018, this profile and its illustration have been improved through necromancy, then we added atom-thick M&M stats. Starting at $1 – big pack of digital manga that received an animé adaptation, from Kodansha. Good mix of big classics (Alita, Ghost in the Shell) and more recent material. Check it out. The thrice-yearly report about the site’s condition. Along with the thrice-yearly call for donations, so the site can continue to exist. THRILLS ! SUSPENSE ! ACTION ! SHOCKING TWISTS ! Read about it all within, and support the fight for democracy by buying war bonds and recycling rubber. 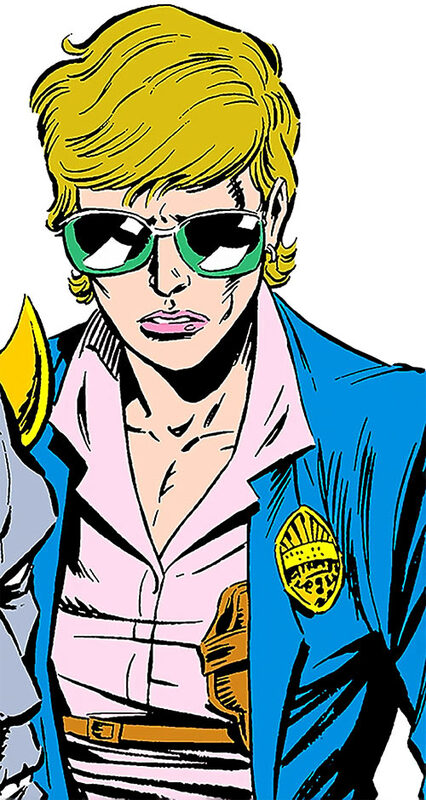 This is Maggie as she appeared during the 1980s, back when she was essentially Superman’s “Commissioner Gordon” equivalent. Sharp cop in the process of inventing a police unit capable of dealing with superhumans. 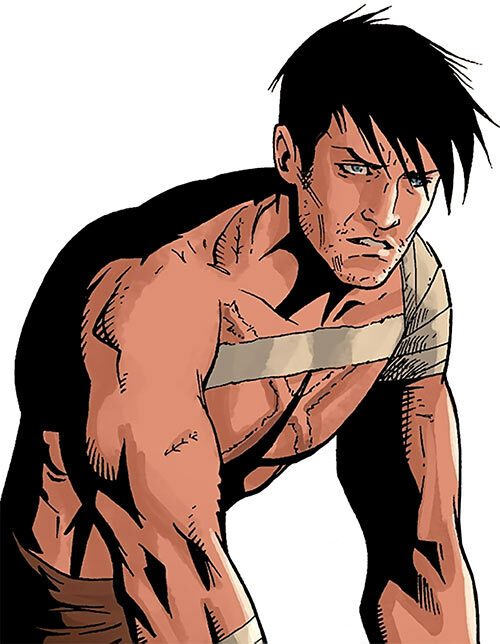 Marus the Magekiller (spoiler – he kills mages) is one of the two co-protagonists in the Dragon Age: Magekiller (spoiler – it’s in the Dragon Age universe) comic books by Greg Rucka. An odd but generally friendly prehistoric man. 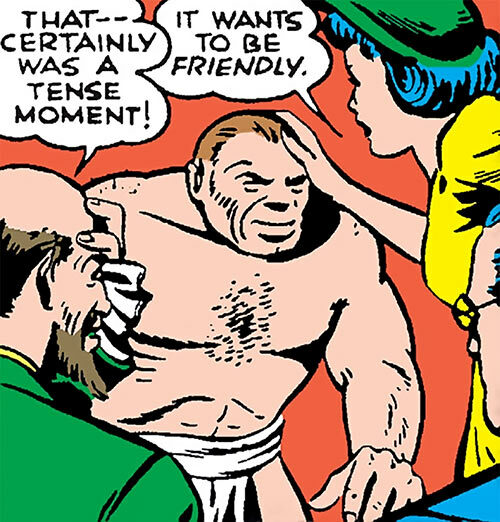 He appeared in a 1940s Superman story. An anti-Thanos doomsday weapon encountered by Daredevil and others. As of May of 2018, this profile was overhauled. And it also received M&M stats that SHALL DESTROY ALL THE CIVILISED PLANETS !! Full team profile for the Thunderbolts from the beginning to the 2010s. As of May of 2018, this profile was cleft for length, and is now presented in two parts. This was done using prison labour for low costs, then pocketing the difference. 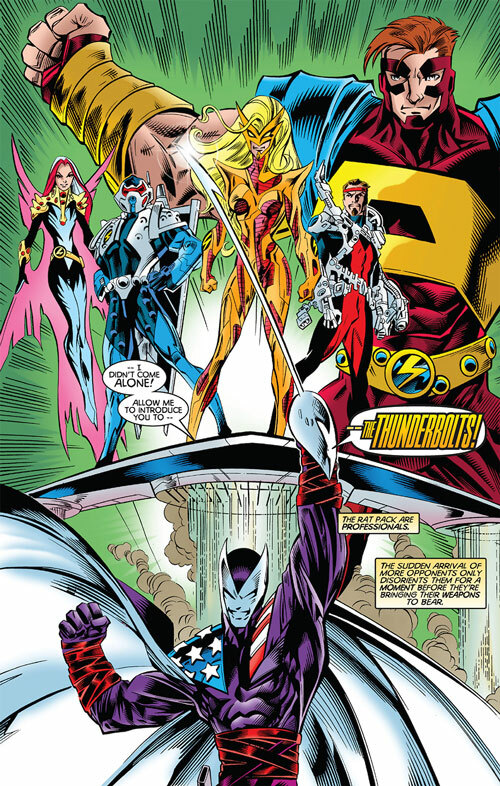 The second part of our full profile for Marvel Comics’ Thunderbolts team, with a link to part #1. Roster, organisation, history, gear, doctrines, etc. 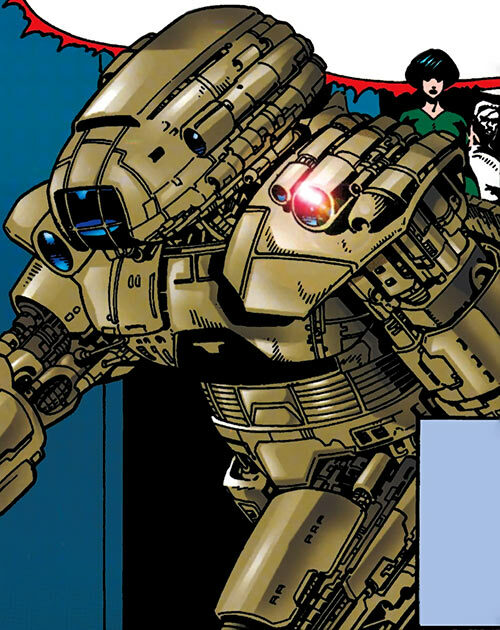 This combat robot was briefly seen in an Azrael issue. It looked convenient, the sort youse ladies an’ gents could find useful. 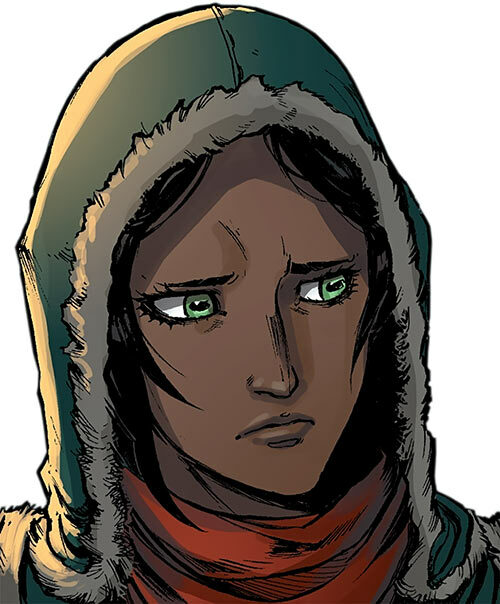 Dragon Age character, from the Knight Errant comics from Dark Horse. One of the very few Elven squires in Ferelden’s history, a “repossession” and stealth expert, and eventually a young agent for a certain inquisitive organisation. 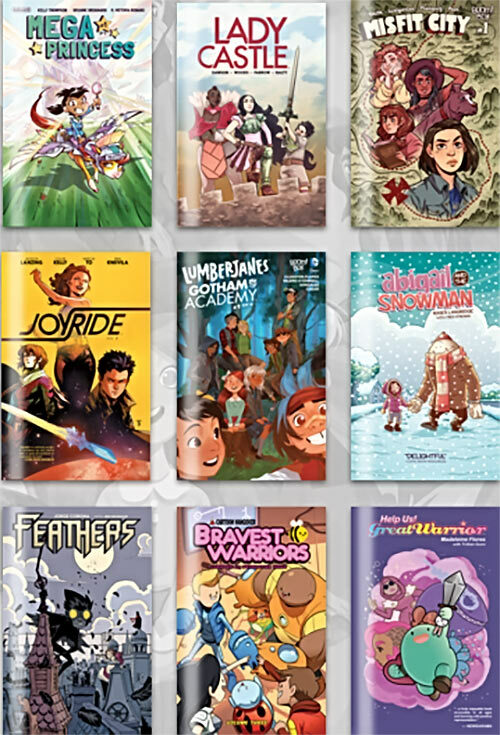 Been a while, but Humble is currently offering an interesting bundle of digital comics – mostly for younger readers. Check it out. 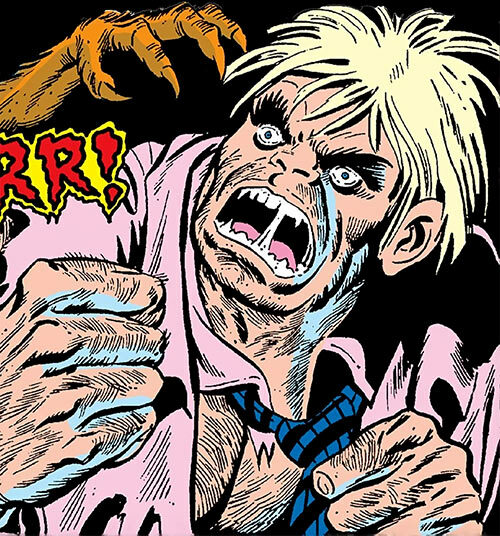 Obscure Daredevil enemy – just a street brute. As of May of 2018, illustration redone and added inarticulate M&M stats. An obscure, mediocre Jekyll & Hyde expy who fought the Werewolf by Night a few times during the 1970s. But I’m sure some of y’all can find ways to use this material to tell more interesting stories. Or eh, maybe you just need a stock brute who “exults in evil”. That works too. Our larger, more modern writeup for the great and mighty Xena during her 1990s action/adventure TV series. From bloodthirsty ancient warlord (well, warlady) to epic fantasy heroine for good! As of May of 2018, this profile was cleft into three parts through careful use of a chakram. Because it may have been a tiny bit long, yeah. This is the second third of our extensive Xena character profile, with links to the other two parts. This one has the second half of her biography, because we have many skills. 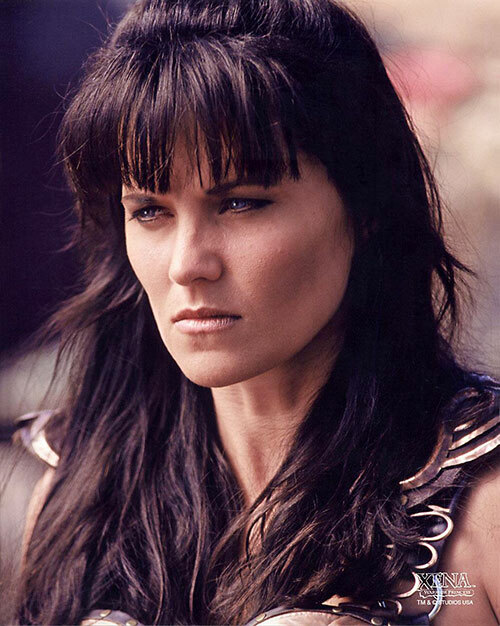 Last third — so, y’know, part #3 — of Doug’s herculean character profile for Xena, as played by Lucy Lawless in the old fan-favourite TV show. This is the bit with the RPG stats, the romance and RP notes, the stats design notes, etc. This methodology article explains how we work when profiling characters from video games (particularly CRPGs and MMORPGs). — How good should the playthrough be ? section. 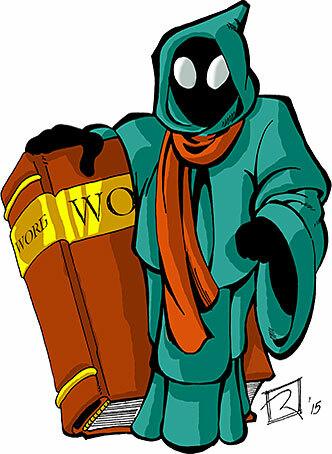 — “Hub” characters and “reaper” characters section, and various improvements. 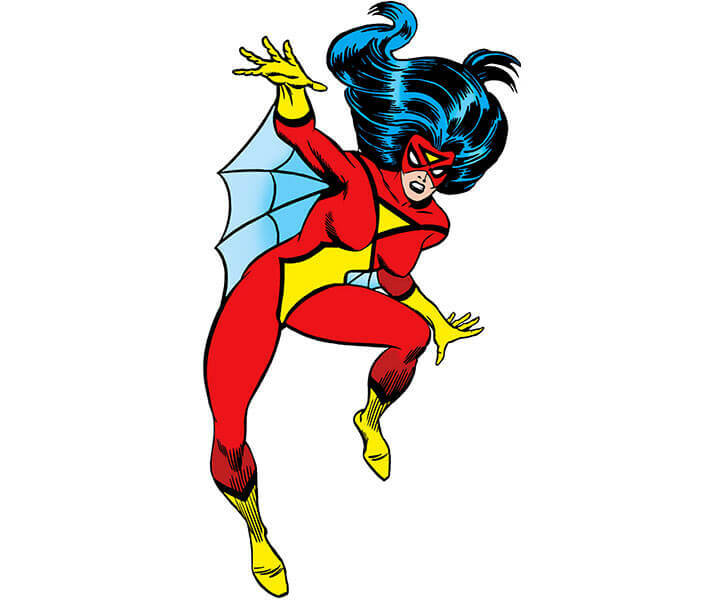 This is the second of our chronological, emergent history profiles for Spider-Woman (Jessica Drew). It covers the Wolfman/Infantino era, which is also when she gets her own book.